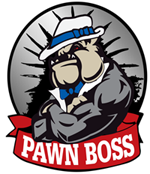 Looking for pawn shops in Syracuse, New York? If you want to buy, sell, pawn or trade in the Syracuse area, then you have many options. Whether you want to sell or buy gold, jewelry, power tools, musical instruments, DVDs, or even a vehicle, Syracuse, NY has many spots for you to get the cash you need or the items you are looking for. 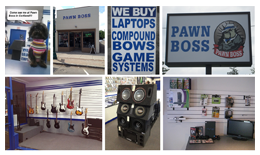 Want to find a Pawn Shop in Syracuse? If you are in the Syracuse area, there is no need to waste time looking for the pawn shop that will give you the best deal possible, because if you are reading this, you have found the place for the best pawn deals possible in the entire Syracuse area. The place? Pawn Boss of New York. With three locations in the Syracuse area, you are just moments away from one of our reliable pawn locations, not to mention a pocket full of cash! Come check out any one of our Syracuse pawn locations in Cortland or Fulton. Or just pick up the phone and call us now because we are ready to make you a deal!